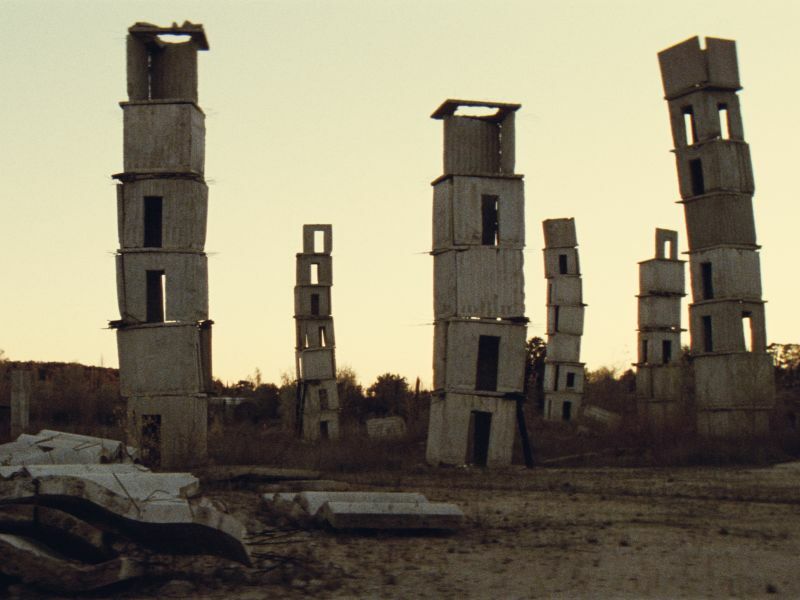 Sophie Fiennes’s Over Your Cities Grass Will Grow, now playing at Film Forum, reveals Anselm Kiefer to be the Donald Trump of contemporary art. Through no fault of his own, the monumental structures Kiefer creates, in particular the asymmetrical towers the film portrays, have something in common with post-modern edifices like Thom Mayne’s building at the Cooper Union. Inadvertently, the movie is about the banality of artistic process even amidst the millenarian aims of art. Vergangenheitsbewältigung is a German compound word that means coming to terms with the past, and Unheimliche is a word used by Heidegger to refer to a sense of the uncanny. Both words aptly describe a German artist who is a self-appointed repository for both historical memories and images of estrangement. The world Kiefer created near the French town of Barjac, and which he would eventually abandon, is an alternative universe, with worker bees busily demolishing and rebuilding a funny house of mirrors composed of sculptural monuments to tattered books, battle tanks, ships and nameless encampments in which both revolutionary figures and the victims of genocide occupy beds that look like graves. This is the subject of Over Your Cities Grass Will Grow, but the movie is also a work of art in and of itself. Fiennes adopts Frederick Wiseman’s approach to documentary—there are no voiceovers, intros or explanations. Both the art and the artist speak for themselves. An Übermensch like Julian Schnabel is a minor annoyance in comparison to the massive ego that Fiennes portrays.